The group was created by Mitsuru Igarashi in 1996. Igarashi was a producer at the label Avex Trax at that time and he was looking for a girl for a new duo with him as the keyboardist. He listened to a demo tape from Kaori Mochida, who at that time was a young girl trying to get a music contract after she went solo from her group called The Kuro Buta All-Stars (a group with many girls similar to Morning Musume). She was still in school at that point of time. Igarashi was speechless after listening to Kaori, impressed by her strong and sweet voice at the same time. He asked her to be part of a new band, and she accepted. Igarashi had a guitarist friend, Ichiro Ito, and Igarashi asked him to help in the first single of the duo called “Feel My Heart”, written, composed, produced and arranged by Igarashi himself, and Ito agreed to help his friend; after “Feel My Heart” did so well at the charts and the group was gaining popularity, Itō finally decided to stay permanently in the group with Mochida and Igarashi. Their first studio album, called “everlasting” was a big success, selling nearly two million copies in Japan, and marking ELT as a popular group that was about to stay for a long time in the public eye. The band reached #1 at the Oricon charts for the first time with their fourth single, “For the moment”. The second studio album of the band, entitled “Time to Destination”, released in 1998, was one of the best-selling albums of that year, and even now, is still the best-selling album of the band. This album also included their best-selling single, “Time goes by”, which was a ballad tune. At the release of the third studio album of the band, “eternity”, released in 2000, Mitsuru Igarashi decided to leave the band to produce for other artists inside Avex, and since then, Every Little Thing was known as a duo (like was planned by Igarashi at the beginning). 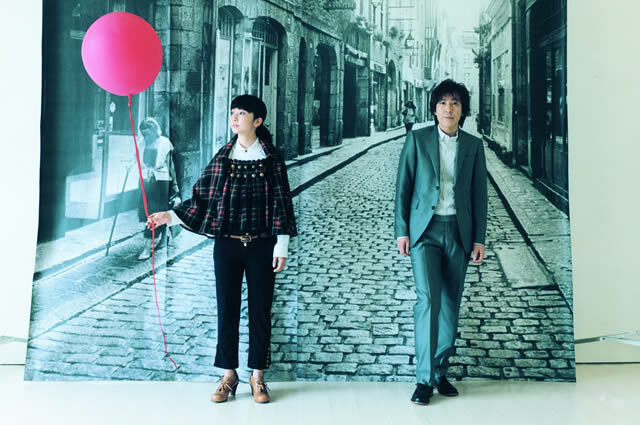 With the release of their 16th single released, “Ai no kakera” at that time, ELT transitioned their style from Igarashi’s signature synthesized pop-rock sound to a more acoustic soft rock sound. The single “sure”, which was the last song that Igarashi participated in, was the first song that marked the transition, with “Ai no kakera” marking it definitely. Their single “fragile” later released on January 1, 2001 became a massive hit single, becoming one of ELT’s greatest hits from all time, selling approximately 829,580 copies in 2001. Their latest album from 2004, “commonplace”, which is mainly based on ballads and acoustic songs, is their poorest selling album to-date, with only 313,000 copies sold. ELT’s popularity has declined over the years, but although many similar bands like day after tomorrow and Do As Infinity have disbanded, ELT remains to be one of the few older bands that are still together, along with globe and Dreams Come True. In November 2004 the duo released their single “Koibumi / good night” that was a surprise for many, because it performed comparatively well at the charts, selling more than many of their previous singles. This result maybe because the 2nd song, “good night”, was the theme song for the game Tales Of Rebirth. Every Little Thing hasn’t been releasing much materials lately, releasing two singles in 2004, and just one single in 2005, the soft rock “Kimi no te”, and the acoustic compilation album “ACOUSTIC:LATTE”. In March 2006 the band released its 29th single “azure moon” and later close to their 10 year anniversary it released their 30th single “HI-FI-MESSAGE”, an up-tempo song. A 2006-2007 concert tour followed their latest album release, “Crispy Park”, which came out in August 2006. Their 31st single, “swimmy” (スイミー), theme song for the J-Drama “Kekkon Dekinai Otoko” (結婚できない男), was released later that month.